At NextStep, we believe in the value of connecting people. It was through networking that NextStep was able to create a community of like-minded individuals in Shanghai ten years ago. As times changed, our connections grew stronger and more diverse. The way we connect and communicate also changed. We are no longer confined by our geography, with the internet serving as our mutual space. Freelancing has grown dramatically over the years, and the Philippines are among the countries that quickly adapted to this trend. Overtime, Filipinos have become sought after talents in freelancing platforms such as Upwork. Inspired by this, we are launching a new series called Freelance Friday Presents. Here we talk with the key influencers in the Philippine freelancing industry, from podcast producers, creative entrepreneurs, top rated writers and editors, and startup founders. 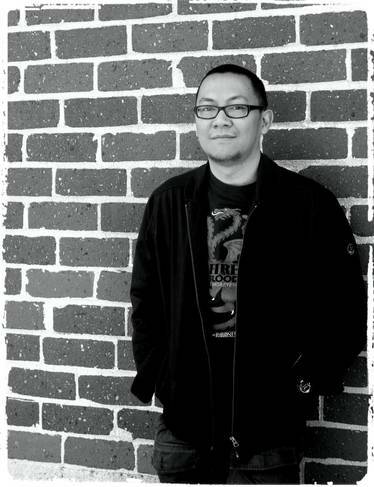 In our first edition, we talk with Marvin de Leon, founder of Freelance Blend. His goal is to grow and nurture a thriving community of freelancers who can freely share their knowledge, expertise, and experiences in a thoughtful, respectful and positive way. He wears many hats: a solopreneur, graphic designer, web designer, author, columnist, business coach, motivational speaker, and podcaster. Marv: I worked for a foreign bank after graduation, and stayed there for 18 years. While I loved my job, it came to a point that it bored me. Reading the boo Rich Dad, Poor Dad changed my perspective, and I realized that I won’t reach my dreams if I stayed in one place. So I started looking for options and other sources of income. I started investing and bought a rental property. Eventually, I got involved in online businesses, then discovered podcasting and freelancing. The rest, as they say, is history. Marv: I guess what I love most about it is freedom. With freelancing, we have control over how we spend our time. We also work anytime and anywhere we want. You can work in your home, in a co-working space, or in a coffee shop. I generally work for about 4-6 hours a week, which gives me a chance to focus on other projects. Freelancing also gives financial freedom. Here you can work for as many clients as you like and earn as much as you like. Marv: I found it difficult to get clients at first that it took me a year to get one. Giving up wasn’t an option for me so I continued to work and hustle. I kept on creating content and built my value through podcasts and blogs. This helped me be more confident in approaching and acquiring clients later on. Q: What is the best trait that contributed largely to your success? Marv: I think self-motivation is the trait all freelancers need. I would’ve gone back to the corporate world if I wasn’t motivating myself with all the rejections and failures I’ve experienced. Giving up isn’t an option for freelancers, especially if you want to succeed. Q: What do you think is the biggest challenge in the local freelancing industry? Marv: Aside from internet connection, I think it’s self-motivation and mindset. Based on people I talked to and events I attended, I noticed that Filipino freelancers find it challenging to get gigs because they lack confidence. They feel that their skills are not enough because they lack experience. Sometimes, when they fail or get rejected, they go back to their corporate jobs. They think they won’t get past the challenges they face. They’re not motivated enough to push through. Marv: Rich Dad, Poor Dad was definitely a life changing book for me. Tim Ferris’ book The 4-Hour Work Week was a game changer for me. The book talked about how entrepreneurs hire freelancers to save time and get more things done. In a way, it opened my eyes to the possibility of working with clients abroad without leaving the country. Another book is the Freelance Bible by Sarah Horowitz. Though it’s catered for American freelancers, I was able to pick great ideas from it. Marv: Definitely our excellent skills in the English language. English is almost the main language of this generation, which allows us to be globally competitive. I’ve read somewhere that only 2-3% of our population are freelancers, but it’s about one-third in the US. I think it’s possible for us to get there too because of our skills and our friendly attitude. Marv: Just continue to apply for gigs. Sometimes it takes time, so you really need patience. You should look at this as a long-term career. If you’re struggling at the start, you should continue to network and continue your work. If you don’t have a website or a blog yet, focus on improving your profile and creating your work, so next time you apply, you can show them to your clients. Don’t be discouraged by failures. Learn from your mistakes and continue to improve yourself. Know more about Marv by listening and subscribing to his podcast here. Get in contact with Marvin by visiting his website at www.freelanceblend.com.